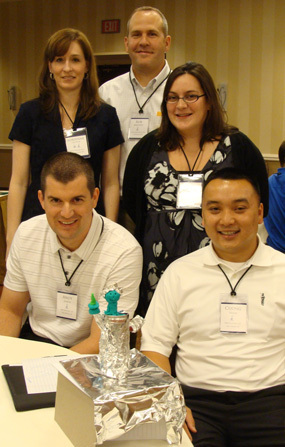 Unlike the other options open to Emerging Leaders Academy participants (the BestPractices Conference, and the HeadWaters Conference), Emerging Leaders Conferences are open only to Emerging Leaders Academy members. 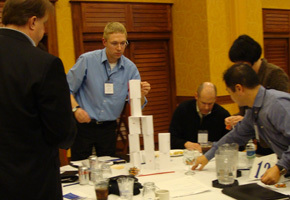 The conferences feature a combination of training sessions and facilitated problem-solving sessions led by Sam Allred, Jeremy Clopton and Tim Bartz. ELA participants have the opportunity to discuss those issues most pertinent to them, network with other emerging leaders, share innovative ideas and learn best practices and processes for managing their careers. New participants can register for the conference by choosing this option on their registration form; those participants renewing for Year Two can choose this option on their renewal forms. We are excited to announce the dates for the 2019-2020 program year Emerging Leaders Conferences, based on the survey of current ELA participants. To register for one of these conferences, please indicate your choice on your Emerging Leaders Academy registration or renewal form. 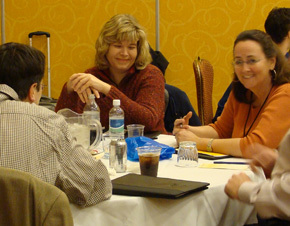 A conference geared to Emerging Leaders Academy participants. 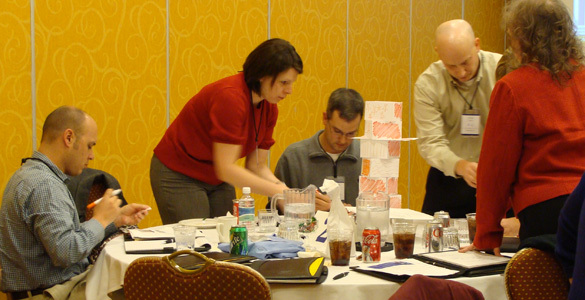 We will hold four Emerging Leaders Conferences this program year. 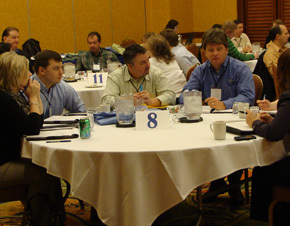 The conferences have identical agendas and feature more interaction and discussion than either the HeadWaters or BestPractices. We highly encourage first and second year participants to attend one of these conferences, since the agenda topics are geared to issues relevant to them and how they can make the most of their careers. This will also allow them to meet other participants in the program and get some great one-on-one time with the Upstream team. Agenda for the 2019-2020 program year coming soon! All four Emerging Leaders Conferences will have identical agendas. Pick the one that's most convenient, but be aware that we will only take the first 100 registrants for each conference. This year’s conference will be held at the Motif Seattle, located at 1415 Fifth Avenue, Seattle, WA. Reservations can be made by calling (855)515-1144. 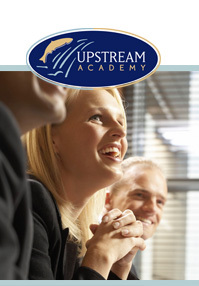 You will need to specify Upstream Academy to receive the special conference rate of $269.00 per night. Reservations can also be made online. If you have any problems with hotel reservations, please don’t hesitate to contact us for assistance. We recommend making your reservation by Friday, August 23, 2019. The hotel is located approximately 14 miles from the Sea-Tac International Airport. The typical minimum charge for a taxi from Sea-Tac International airport is $39.00. If you prefer to rent a vehicle, reservations for airport car rentals can be made in advance through rental agencies. The conference will run from 8am to 5pm on the first day, and from 8am to 12noon on the second day. Upstream will provide a continental breakfast starting at 7am each day, breaks on both days, and lunch on the first day. You and your adult guest are welcome to join us for a networking reception at 5:15pm on the first evening. Participants are on their own for dinner. If you have special meal requests, please contact Kelsey Mundt at (406) 495-1850 or email at kelseym@upstreamacademy.com. Open year-round, Pike Place Market is Seattle’s most iconic attraction — and it’s filled with tasty treats. 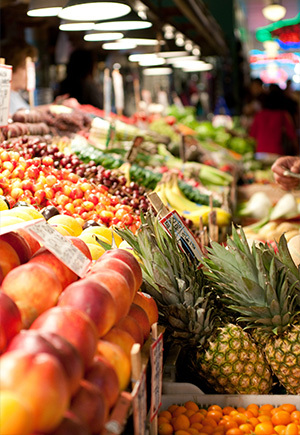 Aisles of gleaming fruits and vegetables, tables overflowing with fresh floral bouquets, and booth after booth selling all manner of locally made jewelry, clothing and gifts. Located in downtown Seattle on the corner of First and Union, the Seattle Art Museum (SAM) presents items from its collection as well as traveling exhibits. If you’re exploring the permanent collection, you’ll want to see the Native & Meso-American collection with works by the area’s original inhabitants. The Seattle Asian Art Museum, in Volunteer Park, features noteworthy collections of Chinese, Korean, and Southeast Asian art, and its Japanese art collection is among the most distinguished outside of Japan. Laying claim as the city’s “first neighborhood,” Pioneer Square is a richly historic place known for its Renaissance Revival architecture, First Thursday art walks, night life, delicious lunch spots, and quirky boutiques. Explore the depth and beauty of Seattle’s first historic district and jump on a tour that takes you underground to visualize Seattle as it once was in its gold rush days. 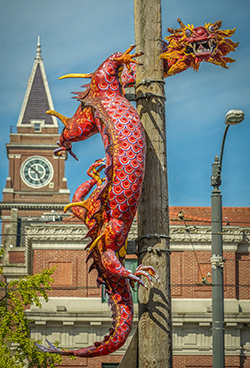 Head south of the downtown core, just east of Pioneer Square and you’ll discover Seattle’s Chinatown-International District, rich with authentic eats, captivating cultural experiences and intriguing shopping. Shaped by the many Asian cultures that have settled in this part of town over the past 100 years, the ID has grown to be one of Seattle’s most diverse and vibrant communities. The Seattle Aquarium features a stunning 40-foot, 55,000-lb. viewing window that looks into a 120,000-gallon aquarium filled with salmon, colorful rockfish, vibrant sea anemones, and other native Washington marine life. Other exhibits include two touching tide pools filled with sea anemones and sunflower sea star, a pacific coral reef exhibit, marine mammals and an underwater dome, the aquarium’s largest exhibit. The aquarium is located on Seattle’s waterfront at Pier 59. A unique area of the city located along Alaskan Way, the Seattle Waterfront is active year-round. With dozens of paths, piers and public spaces, it’s always a great place to relax and enjoy a little people-watching as you absorb the local scene.. The Waterfront is also a popular jumping-off point for water excursions in Elliott Bay and beyond. 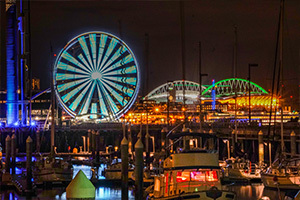 The Seattle Waterfront’s newest attraction, the Seattle Great Wheel sits 175 feet above Pier 57 and extending nearly 40 feet over Elliott Bay. A view from the top offers sweeping panoramas of the city skyline as well as Elliott Bay and the Olympic Mountains beyond. Each of the gondolas is fully enclosed and climate controlled to allow for year-round riding, regardless of the weather. 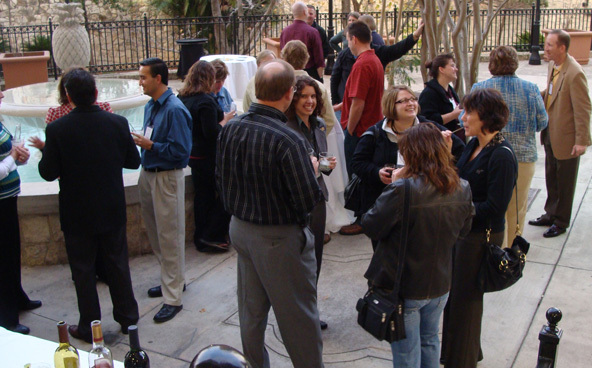 This year’s conference will be held at the Hyatt Regency Austin, located at 208 Barton Springs Road, Austin, TX 78704. Reservations can be made online or by calling (800)233-1234. 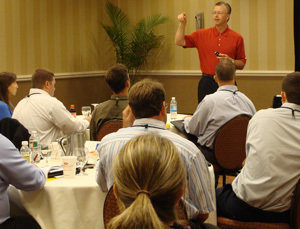 You will need to specify the group rate for Upstream Academy to receive the special conference rate of $239.00 per night. We recommend making your reservations by December 16. If you have any problems with hotel reservations, please don’t hesitate to contact us for assistance. 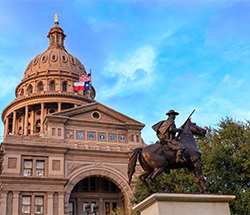 The hotel is located approximately 30 minutes (9 miles) from Austin-Bergstrom International Airport. Taxis as well as ride sharing options are available including Lyft, Uber, RideAustin and Wingz. If you prefer to rent a vehicle, reservations for airport car rentals can be made in advance through rental agencies. The conference will run from 8am to 5pm on the first day, and from 8am to 12noon on the second day.. Upstream will provide a continental breakfast starting at 7am each day, breaks on both days, and lunch on the first day. 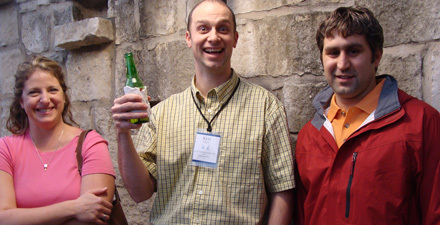 You and your adult guest are welcome to join us for a networking reception at 5:15pm on the evening of the first day. Participants are on their own for dinner. While you’re in the Live Music Capital of the World take the opportunity to check out some of the local talent or visiting artists. 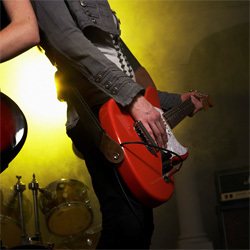 Nearly 200 venues offer rock, blues, jazz, hip hop, punk or Latino shows nightly. 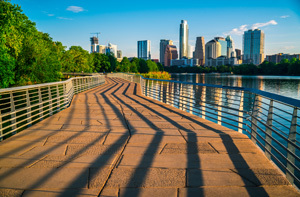 Explore the beautiful Lady Bird Lake Hike and Bike Trail and get an insider’s view of Austin. Austin natives also enjoy canoe-paddling, water-biking and paddle-boarding in Lady Bird Lake. The Blanton Museum of Art boasts the largest and most comprehensive collection in Central Texas. More than 18,000 works of art include European paintings, modern and contemporary American and Latin American art and an encyclopedic collection of prints and drawings. 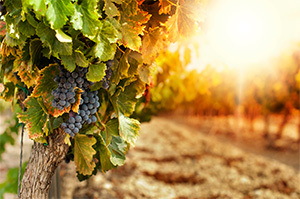 Texas may not be the first destination that comes to mind for award-winning wineries. But, with more than 30 wineries within a short drive, the Austin area is the perfect place to uncork a bottle and soak up some breathtaking views. 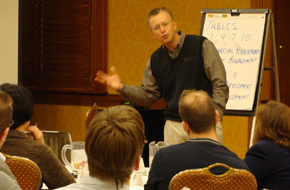 The Emerging Leaders Conference Winter 2011 was held in Scottsdale, Arizona. 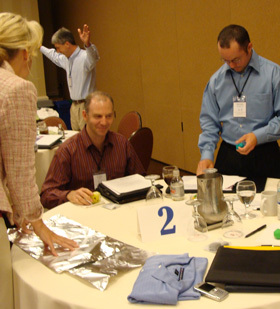 Participants had the opportunity to soak up some Arizona sunshine, while participating in an interactive, innovative conference. 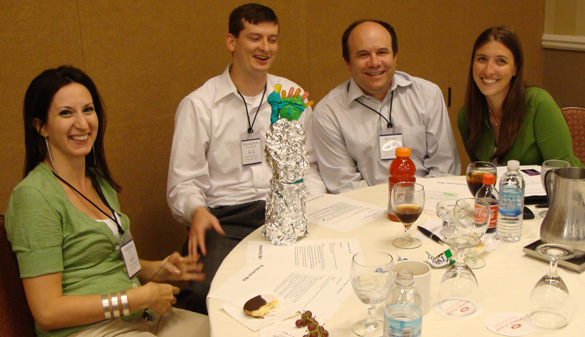 Participants joined us in Philadelphia this June for the ELC Summer Conference. As with previous ELA Conferences, this year's event featured more discussion than "lecture and receive." 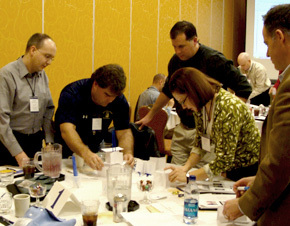 Sam Allred and Tim Bartz took participants through a series of exercises designed to challenge them to think as consultants for their firms. 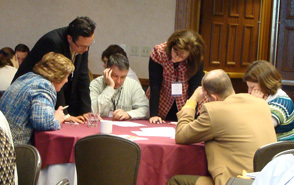 Participants also had the opportunity to share some unique and innovative ideas from their firms. 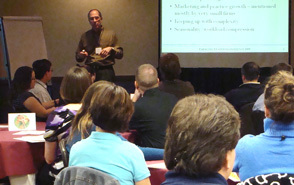 Mark Welp discussed Ary, Roepcke & Mulchaey's CPR business development program. Michelle Zschech shared details of Seidel, Schroeder's succession plan. Bob Lawrence talked about BDO Canada's business transition plan offering. Sean Gilligan discussed Ashland Partners' 24-hour workflow process. 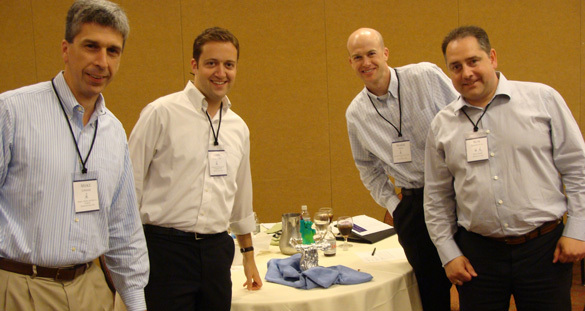 Carl Saba shared Burr Pilger Mayer's unique ideas for their valuation practice. Late in the afternoon, we got participants' hands and creative juices moving to build a patriotic tribute to their nation. 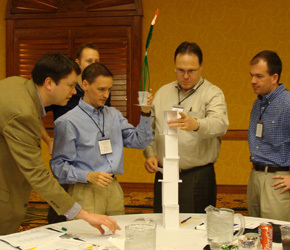 Working as a team proved both a benefit and a liability. At the end, we had some lovely creations to display. Thank you to everyone who attended. 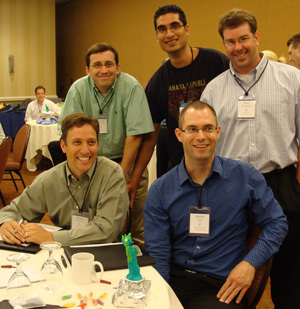 We hope you went back to your firm with enthusiasm and a wealth of ideas and tools to guide your career and your firm. 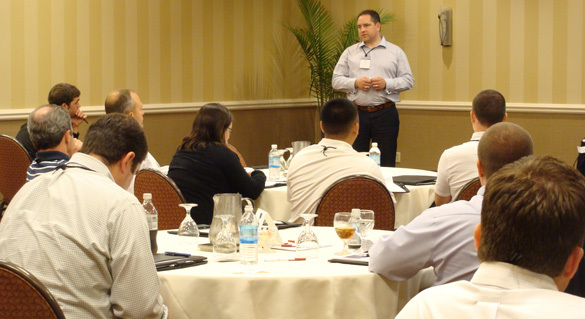 The second Emerging Leaders Conference was held January 7-8 in St. Petersburg, Florida. Hoping for a tropical getaway, attendees were instead treated to 50 degree weather and rain. Fortunately the lively discussions kept everyone warm despite the weather. 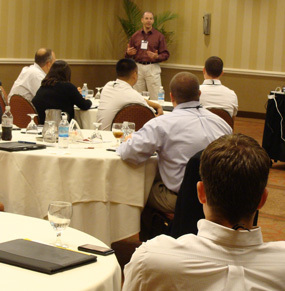 The conference was highly interactive and as participants moved through the seating arrangements they had the chance to network with participants from other firms. 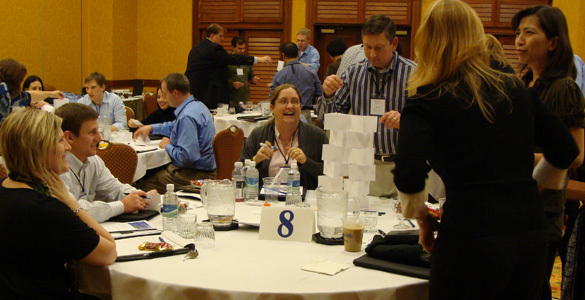 At one point for a fun break and a chance to analyze how we make assumptions about who comprises our team mates, participants built paper towers. Some of the entries were very creative. 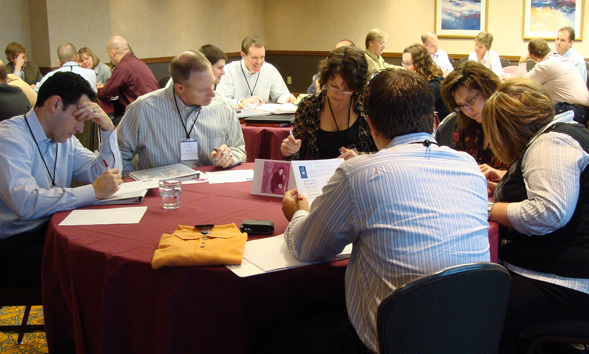 Participants gave the conference high marks and took home lots of new ideas to implement in their own firms. 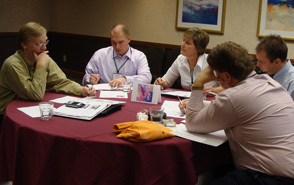 ELA members gave the first Emerging Leaders Conference very high marks. 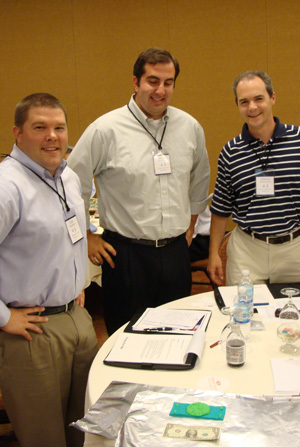 Participants took advantage of the opportunity to network with other emerging leaders from accounting firms across the US and Canada in a much more informal atmosphere than your typical conference. 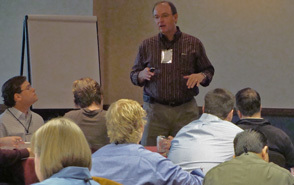 The conference featured presentations by Sam Allred, Tim Bartz and Bob Bunting, interspersed with opportunities for discussion and group work. 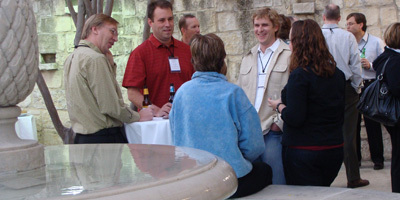 After the first day, participants enjoyed the mild San Antonio evening at a reception on the hotel's patio. This was a great opportunity to relax and network with the speakers and other participants. We hope everyone had a great time and brought back a wealth of ideas! 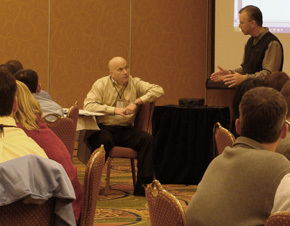 Next year's conference will have a similar style with new topics and discussion. 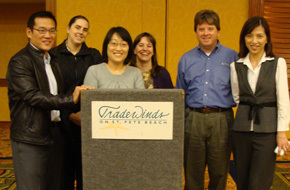 We look forward to seeing you in St. Petersburg, Florida on January 7-8, 2010. As with everything Upstream Academy does, your satisfaction with Emerging Leaders Conference and Emerging Leaders Academy is guaranteed. If you are not completely satisfied with the value you receive, we will, at your option, either refund your money or accept that portion of the fees that reflects your level of satisfaction.